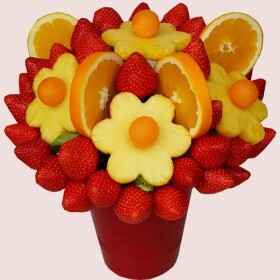 Fruits arranged like flowers in vase or basket is a gift, that will represent you at any event in a different positive way. The fruits as a gift are welcome from everyone. 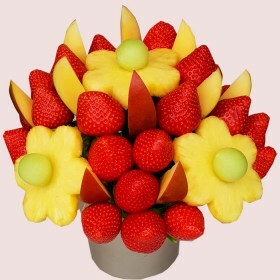 The meaning when you send a fruit basket is that you care about the recipient and wish them a good health. 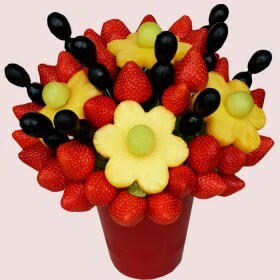 Our fruit bouquets will always impress the recipient, especially when they are arranged in a nice vase with funny cartoon characters, suitable for a baby shower of girls or boys.